Let’s get . . .
Picture this: you’re finished stuffing all the kids in the car and somewhere in the process you and your spouse began an argument. As you drive to the church you both realize that this argument has to end, and your attitude has to get better so you can worship together. Worship means drop the kids off as quickly as possible, which will be challenging now because you are running late and will barely make it in time for the service if you went straight into it. You arrive and check in the kids, and two of the four cry when you drop them off, so that rends your heart. But you stay focused because the benefits of your personal worship time (corporately, that is) will make it worth while. This is what will get you through the week. You enter and smile, as the greeter greets you. (It is, of course, an unwritten rule to smile when smiled at especially at church gatherings). You collect a bulletin, a pen, the notes for the sermon, and you and your spouse chit chat with sound bytes to people you see every week. You find a seat near the back since your late, even though the usher is trying in vain to fill the empty front rows. The music is a song you don’t know, but the style and beat are probably great for unbelievers you think. The next song is the same. Finally they play a song you know, and you sing it out, but not too loudly because you don’t want to bother anyone else. You sit through a prayer, trying to also pray. You see the sermon is about to start, and this is the part where you get fed once a week. You eagerly expect something that will be encouraging. In 20 minutes or less. Remember, it can only take an hour total. 45 minutes for you since you came late today. Oh geez, he went over 5 minutes. He shows no signs of stopping. He ‘s joking about going over now. He has accepted the fact that he’s going 10 minutes over and he shows no signs of stopping. Now we’re singing too. Okay, okay, this is good for us spiritually. Final prayer. Exit. Swim quickly through the crowd and pickup kids, keeping spouse from getting cornered by anyone so you don’t have to wait, right? Did I or did I not sum up the typical weekly worship experience in the Western Christian’s lifestyle? Honestly? I know, you can poke a hole in some details, add or subtract a thing or two, but overall, is this not an accurate snapshot for the history books? Now let me ask a deeper question: Does this describe your experience? Deeper: Is this all of your Christian experience, or do you participate more than this with your church family? Ministry? Small group? Use your gifts of lawn mowing or interior painting, or attending elder meetings? Deeper still: Are you satisfied? Jesus did not call us only to a one hour weekly worship gathering. If your Christian experience is only that one hour a week experience, then can you say with a clear conscience following Jesus 52 hours a year is sufficiently following Him? I think you would agree not. Then how can a person change that? Here is where we are like The Matrix, and you are offered a red pill and a blue pill. One will allow you to remain as you are, promises no change, and promises comfort. Ignore the fact that it isn’t reality. You get to keep everything the same and you can have control of a comfortable religious life. But the other pill is what people commonly refer to as missional. It is defined by uncertainty, yet absolute peace because of trust in God. It is defined by adventure, high risk taking as people dare to take gigantic, huge leaps of faith. It is defined by following the teachings of the homeless Jewish rabbi from Nazareth Jesus Christ, and following His example. This is the beginning of the life you are itching for but afraid to commit to. First, understand Jesus’ story, and how your story interacts with His. God’s story, more specifically Jesus Christ’s story, has been going on long before any of us. God the Son expressed the love of God the Father, Son, and Holy Spirit by this: “He made Himself nothing,” (Philippians 2:7, ESV). He became a human being, lived perfectly, taught truthfully, suffered terribly, died physically, suffered spiritually for all sin, rose to life as the Conqueror, and sits in Heaven, serving as intermediate between us and the Father until the cue to return. What’s your story? The Bible says all have sinned, so that’s in there somewhere. The Bible also says all continue to fall short of the glory of God, and what He demands for us to have salvation for our sin. The Bible says you don’t have to try to gain God’s favor, because, well, you can’t. Ever. But Jesus did, and He wants to take you in and let His victory count for you, which God said is okay. You then start to be transformed to look more like Him. We talk in what we call Gospel Community, at a person’s home (with food, drink, and merry hearts) about what we need to die to and repent/turn away from/make new habits about and then pray for one another. We remember the Gospel. We go through an edible section of Jesus’ teachings, understanding them, then discussing how they play out in our various life stories. We hold each other accountable with love, earnestly trying to come up with ways to help each other be more like Jesus. People have noticed, and not because we’re bragging about what we do and don’t do, but because they see we are imperfect people being transformed. We also are in our community trying to transform it with the love of Jesus. We also go to different countries—this year Rwanda and India—and help share the transforming love of Jesus through the power of the Gospel story. I’ll pick this up in the next entry more, but think and pray about this. Keep in mind, I’m not anti-any gathering of people that claims to follow Jesus. I’m for them, even if they fit the description at the beginning of this entry. Even if they want to stay in The Matrix and retain comfort and control. I’m burdened for them, and that’s why I write. Where are you now? What will you do? Consider what Jesus offers. I guarantee though He is challenging to follow, He will scratch your deepest itch and fill your greatest hunger. He said, “Whoever comes to Me shall not hunger, and whoever believes in Me will never thirst.” He keeps His promises. Is a Non-Missional Church Still a Church? replaced every sanctuary with a condo, where would you go, where would you go . . . So again I ask the question, a little bit differently: If your church experience takes place on one solitary piece of real estate 52 hours a year, what kind of spiritual follower of Jesus are you? I know someone is caught here, because our nationalism and our Christianity seem inseparable. Isn’t God an American, after all? Wouldn’t Jesus appear in a suit, behind a pulpit, hands clasped in front as he bobbed on the balls of his feet inside his shiny black shoes, inviting everyone to come forward while a hymn played? You mean Nate you’re actually suggesting we can have a Christian experience outside of the walls of a church building, and that we can have a Christian experience outside of the hour on Sunday mornings? Jesus taught us to go make disciples in Matthew 28:19-20, baptizing them, and teaching them to obey all He commanded us, and promised He would be with us in this mission. What part of the above passage speaks of the centerpiece of our American Christian religious experience? So, Nate, you’re telling me to stop going to church? No, I’m telling you to consider start going to church. If Sundays is your only experience, and you “punch in” and “punch out,” you have yet to start doing church as Jesus intended it. So are you telling me to spend more time in programs and ministries at church? No, I’m telling you to consider spending your time differently, and emphasizing your time differently. Instead of hurrying to see fast results like a big crowd, or lots of tithes and offerings, or counting a higher percentage of hands raised than last time, try something different. So how does this relate to being or not being missional? 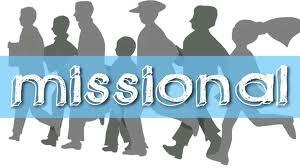 It takes a second to find out of you’re missional or not. It all comes down to whether or not you are willing to be uncomfortable like Jesus was and go where the lost people are (who are just like you, except you’re forgiven and they’re not). Are you going out to where the lost people are like Jesus did, by His incarnation and making friends with “tax collectors and sinners,” to the point of being labeled as one of them by his enemies? Or are you sitting there waiting for people to come to you? Or are you coming up with ways to lure people in? I wanted to put this out there so we could think about this. If we don’t do something different in our churches in America, and stop worrying and fearing, you can expect the words of Downhere to come true. We can kiss all that we take for granted goodbye if we hide inside our walls. Here is an idea, in closing. What if you do whatever it takes to get into a “pool” of spiritual sojourners (we used to call them lost, or unbelievers, but try to keep up with the terminology)? What if we even were willing to quit our cushy jobs at established churches, take an enormous pay cut, and trust God to keep His Word and take care of our stuff if we take care of His stuff (read Luke 12:21 and following verses)? What if we made Sundays a day to fellowship, focus on celebrating what happened the week before, and concern ourselves with our hearts as we sang instead of the singers’ dresses or voices, or abilities or words on a screen? What if we gave up our time to focus on just discipling one person a year? Meet with them once a week? Imagine the multiplication factor (see Wikipedia on the Fibonacci principle if you’re not familiar with it)? What if our church life looked like this above? At The Stand, we are attempting this. (No, this is not a promotional, because I’m not an attractional pastor). Let me tell you, we are seeing God work, as we share the Gospel, as relationships grow, as people ask “what’s going on at your house?” We are exercising more faith, enduring with more patience, sometimes suffering, but we are less stressed, more fulfilled, and are seeing God do more than when we tried it the attractional way. We are loving people, sharing our lives and everything with them, challenging each other to serve, going out locally and globally to fulfill Jesus’ prayer, “Your kingdom come, Your will be done, on earth as it is in heaven.” We are not alone. 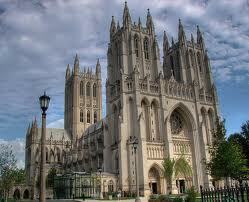 In closing, let me challenge you to find the heart of the cathedral of people Jesus said He would build. Search deep to find the missional, going-out aspect of your local faith community. Talk to leaders. If you think it’s lacking, don’t mutiny! Start leading by being an example of what a true Jesus follower is. 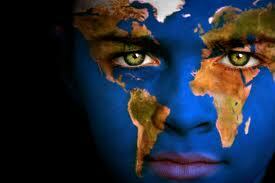 Be missional, on the mission of Jesus Christ, so we don’t see the words from Downhere come true in America. ” . . . and goes out like a lamb.” Remember that? The people in southern Illinois probably do. Disaster teams and relief efforts are still trying to bring peace down there. On March 1, March had indeed come in like a lion. 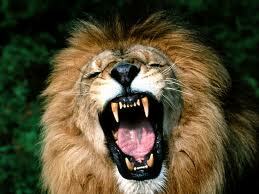 I love lions, but wouldn’t want to be in front of their open jaws. Jesus displayed boldness like a lion, only in a positive way. Jesus’ example shows great boldness and sense of mission when He started preaching the good news. He did not back down when persecuted. What if He did? I’m glad He “endured the cross, despising the shame,” (Hebrews 12). Do you want to follow Jesus? He commanded us to “teach them to obey all that I have commanded,” and what was His first command? Let’s see what Scripture says. So at the beginning and the end of Jesus’ earthly ministry, what action was a fundamental, necessary rhythm of His followers? If you said “repent” you guessed it. Pass Go, collect $200. Does Acts close with repentance? Acts closes with Paul speaking to Jewish Romans who came to see him in prison, and what was he trying to get them to do? Repent of Judaism and trust in Jesus by faith. One recent example in my own life has to do with starting this new church, The Stand. I have never wrestled with worry like I’ve wrestled with it the last four months. There, I’m human too (just ask my wife). For lent I fasted perfection. Just kidding. I’m actually trying to fast worry this year. Why? Jesus said in Matthew 6 and Luke 12 “don’t worry.” Command. You’re sinning if you worry. To stop here would be premature. We need to hold up worry in the light of the Gospel, as if you held an old projector foil made of plastic in front of the light to see it clearly. In repentance you have to ask “why” until you get to the root sin. So I asked the question “why do I worry?” For me, it was control. I worried “what if ___ happens? What will I do? Or what if _____ doesn’t work out? Or what will we do if we don’t have enough people?” I even found myself thinking “What will people think God if our attendance or financial support is not where they expected it to be?” which is something I never wrestled with! All because of planning and control. It’s embarrassing to admit it, so I hope someone is benefitting from this. But we’re not done yet. Stay with me. Then keep digging. You have to find the root sin if you are going to repent of it, remember? Don’t treat the symptoms, don’t quit even if it is painful. Ask “why?” again. So I asked, “Why do I want control?” There she stood, a temptress in her sultry pose, back for a regular visit, trying to seduce me. The awful sin of pride. Did you follow the rhythm of repentance for worry? Why worry? Because I desired control. Why control? Control makes us feel like we did something, like it worked because of us, or like our reputation is secure, or like we accomplished God’s will. That is massaging our pride, in my case. In reality, when planting a church, it is Jesus accomplishing the Father’s will (remember, Jesus said, “I will build My Church,” Matthew 16). It all leads to pride for me. Not for everyone, which is why you need to pray and listen to the Spirit, search Scripture, and “be still and know that I am God,” (Psalm 46). Almost done. Stay with me. Then I compared my worry-control-pride with the Gospel. You absolutely must do that or you’re not home yet. Why? Jesus followers are Gospel-centered, because the story of Jesus and Jesus Himself are inseparable (a discussion for another time). The Spirit spoke to me. If God in His great grace sent His Son Jesus to live the perfect, sinless life, die in the worst way cooked up by mankind, for mankind’s sin, and Jesus rose again, and my sin is paid for because of the awesome work Jesus my God did, then I can trust Him to take care of this day. He will take care of my marriage, family, the money we need, the people we are trying to recruit for the new church, my part-time tentmaking job, and everything. We still do our best, but trust Him. So I repented of worrying, and have been everyday since then. Just last week we had an event and no one showed up (I’m learning that happens to every church planter. If you are a church planter and have never had a “no show,” you might be selling something besides the Gospel). I felt so much peace. I said to God, “I can’t wait to see what you’re going to do with this one. I’m glad you’re in charge.” I put away all the materials for that event, shut her down, and spent the night with my wife and children. We had a blast. I went prayer walking through our neighborhood before bed, and if we had people show up I never would have been able to do that. It wasn’t easy. I had to keep giving God worry, going back to the Gospel, as some say preach the Gospel to myself, and allow the peace that passes understanding (doesn’t make sense) to fill me. But God was faithful and honored the effort of repentance. So what should you do? I strongly encourage you to spend some time praying about what you need to repent of, and asking the why question to God until you discover a root sin, so that you can be freed from its hold and experience the awesome joy of the grace of God. Let me encourage you to pray this prayer: “Lord, is there anything in my life I need to repent of?” Wait five minutes for Him to speak to your heart. If you are a believer there will probably be something. Start asking “why?” until you arrive at the root sin, then compare it to the Gospel. Trust God. You do what you can, with what you have, then smile, wink, dance, cheer, and let the rest go into God’s gracious hands. Final encouraging thought. In the same chapter in Luke 12, where Jesus commands “don’t worry,” He said, “Fear not little flock, it is your Father’s good pleasure to give you the kingdom.” Yes! God wants us to succeed in accomplishing His kingdom more than we do. Awesome! So for worry worts, get out of His way! For the rest, adopt the lifelong rhythm of repentance. Don’t put it off, start now. a What is a church? b. How do you become a Christian?